This technology causes a burst of the algae cells to release all the particles smaller than 40 microns. After dissolution in water, we get a total colloidal suspension of the algae. The micronized powder thus multiplies the activity of the now released active elements. Subjected to low temperatures after the aqueous extraction phase, the solution becomes highly concentrated in active ingredients. 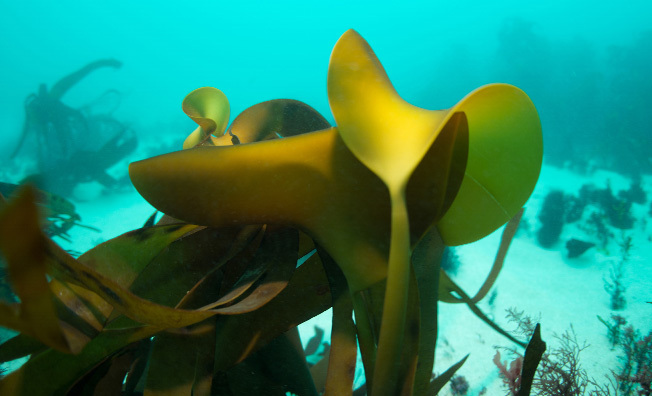 One kilo of the laminar concentrate solution is equivalent to 19 kilos of fresh seaweed. The combination of these two methods gives AGROCEAN products exceptional performance.